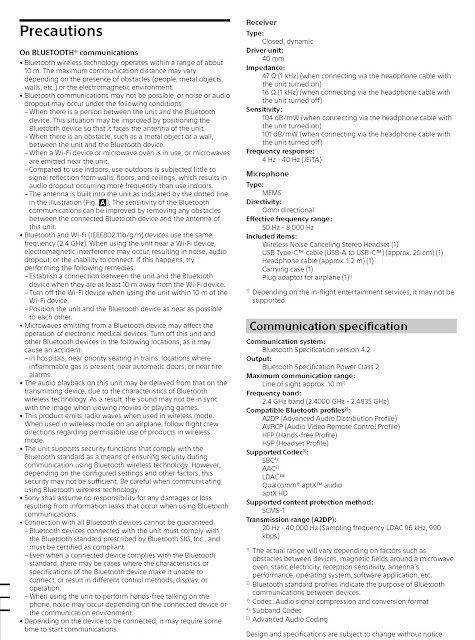 It appears Sony accidentally or unintentionally uploaded the Reference Guide to its servers and thankfully a Reddit user caught it and saved a copy for all of us to see. 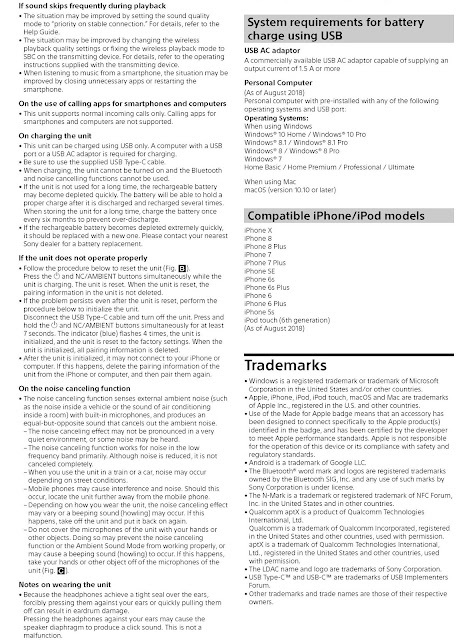 The leaked guide allows us to see what the differences are from the current mk2 model. Previously we were able to exclusively reveal that the mk3 model would not be using BT 5.0 but stick to BT 4.2 which was unfortunate and the reference guide confirms this yet again. 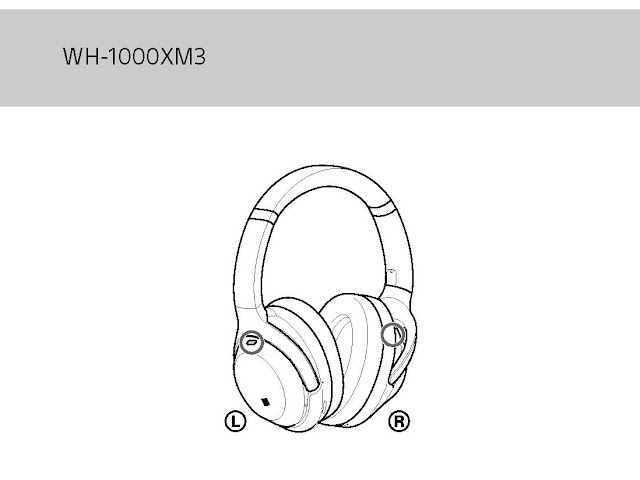 Perhaps next year for BT 5.0 headphones from Sony. When it comes to battery life, it is a mixed bag. For instance, wired use with NC On is now 4 hours less than the mk2 and even the standby is now only 30 hours versus 40 hours. Wireless playback with NC thankfully remains the same, 30 hours. Of course all these are the max and not average, meaning battery life will be less. One advantage the mk3 have over the mk2 is the charging time, only 3 hours versus 4 and a 10 min charge yields up to 5 hours of use versus 70min previously. If this is because of the reduced battery capacity is unknown at this point. Edit - so the current mk2 uses a 3.7V/1200mAh, so it will be interesting to see if this has changed in the mk3. It is interesting that the rated power consumption has gone up to 8W from 3W on the mk2. Not sure why the power consumption would go, should stay the same if Sony was using similar tech to the mk2 or should drop if Sony used more efficient parts. If anyone knows anymore details, please leave a comment. The weight has also gone down to 255g from 275g. Impedance has gone up, 47 Ohm versus 46 Ohm and sensitivity also has gone up to 104 dB/mW from 103 dB/mW, a minor change but still a positive change. Finally the last change is the connector for charging, the mk2 used a micro-usb connector, but the mk3 has finally switched to a USB type-C port and cable. So does this mean that Sony will use the type-C port for audio finally? 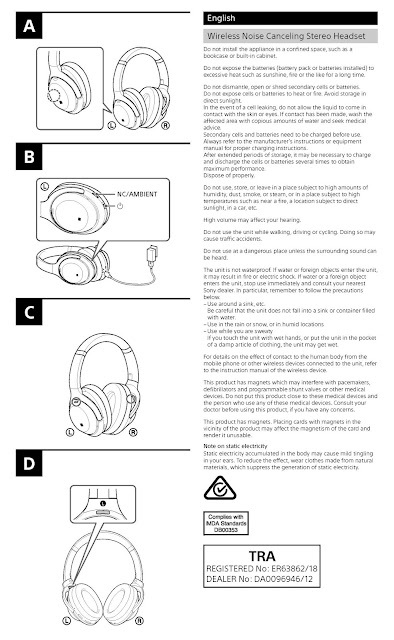 I suspect this is not the case, the included items indicate a headphone cable, meaning a regular 3.5mm jack is still present. 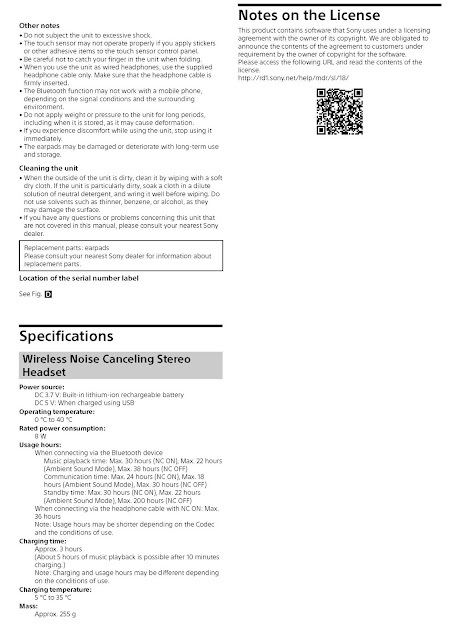 Now this does not mean the device does not support audio over type C and perhaps a future firmware upgrade could allow for audio USB. While I doubt Sony would move the A-Series to an USB-type C port, anything is plausible and would be an interesting move to a more digital trend. Below is the reference guide, click on the photos for a larger view. Yeah, it seems pretty cool that I will look into getting a pair of those! 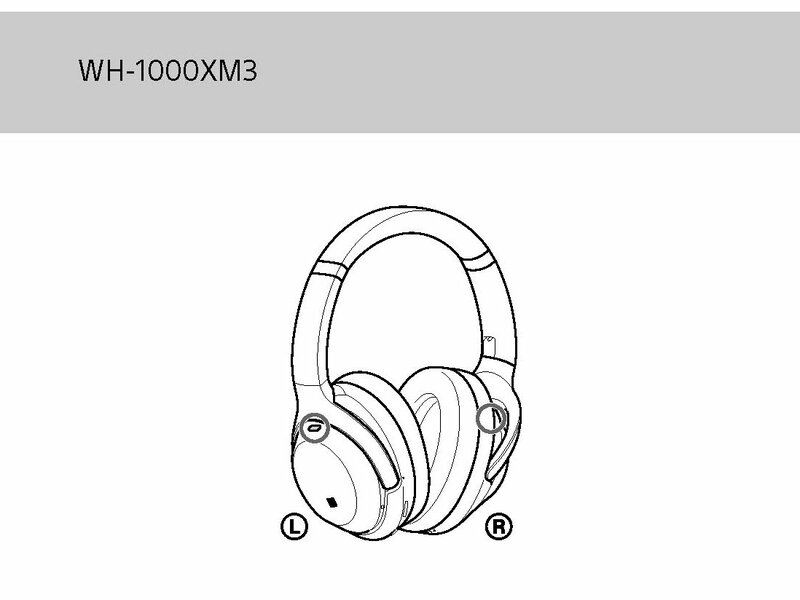 This looks very underwhelming of an update to the WH-1000XM2. I am looking for buy the M2 and am wondering whether to hold out for the M3. It doesn't look like it's worth waiting for the M3. Yes, same thoughts, is the Mk3 a worthy upgrade over the Mk2? Perhaps if it came with BT 5.0 and much better battery life perhaps so, but at this point, not sure if upgrading from a Mk2 is worth it. might as well grab the mk2 now since price has been dropping. I own the mk2 and I am disappointed with the headband. It shifts when my head moves like yawning and since its well worn it makes a creaking sound. I ding them 3 stars for this since I only had for 6 months. I am hoping the mk3 has improved headband. Otherwise a great pair and since the competition is still slow, I am stuck with buying the next edition. Anyone know the battery size yet? Can’t find it anywhere. 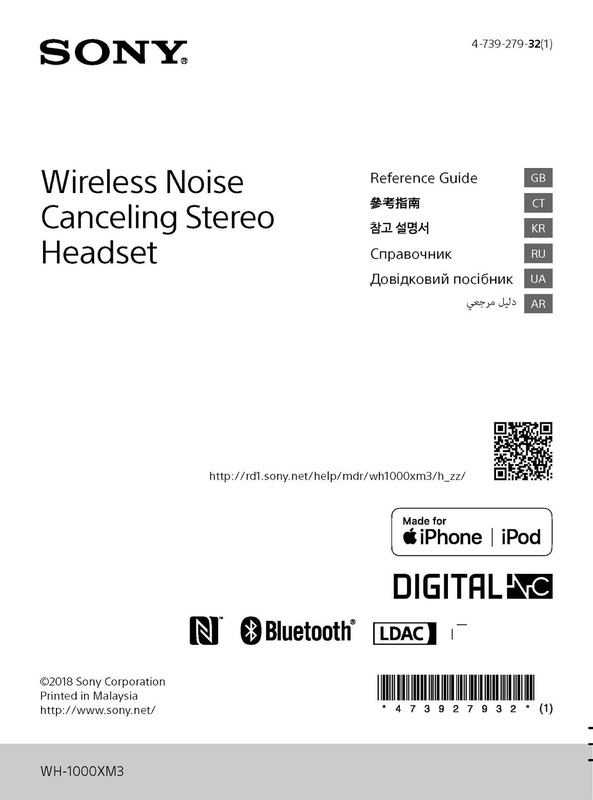 What is the Sony ICX-1291 and ICX-1300?